I have finally finished the commission for a flgs! 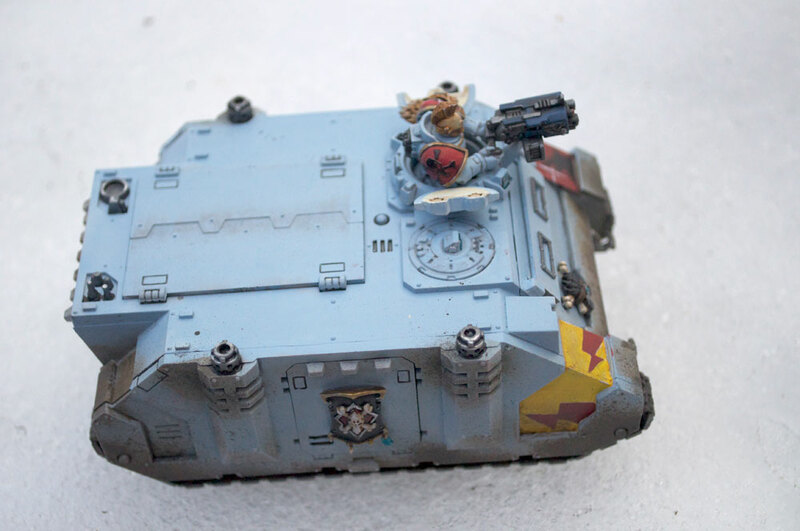 The last piece was a Space Wolf Rhino, which, thanks to my airbrush, went quite quickly. I base-coated in white, airbrushed most of the large panels of colours, and went heavy on the weathering. Any vehicle this pale, spending more than 3 minutes on most battlefields would be all kinds of muddy. It's for a Blood Claws pack, whose symbol is on the Right flank. 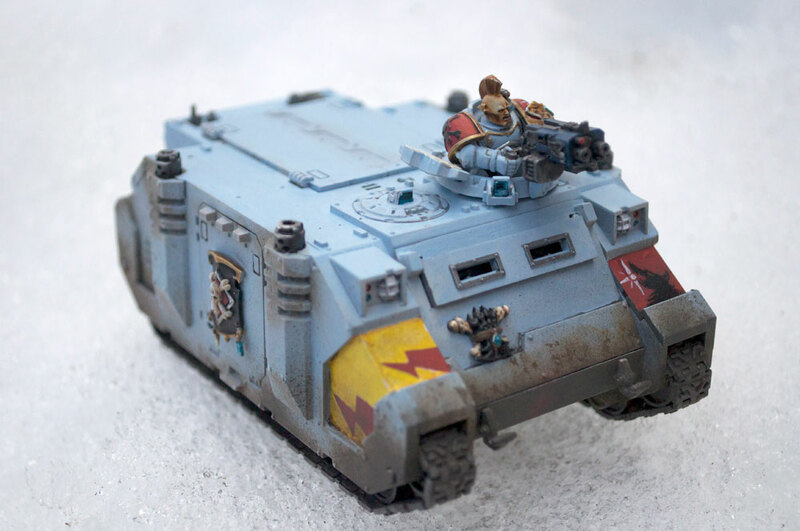 I also added a bunch of Space Wolf leftover bits, to really sell the vehicle. Visible here are a combat shield and Leader's backpack icon cut down, the entire upper torso (minus arms) is from various Wolf kits, and on the Left side door is a wolf pelt taken from Logan Grimnar. The back of the vehicle is of course heavily mudded, as well as the 'ends' of any door panel. Since these would hit the ground, they got a good dusting of mud. 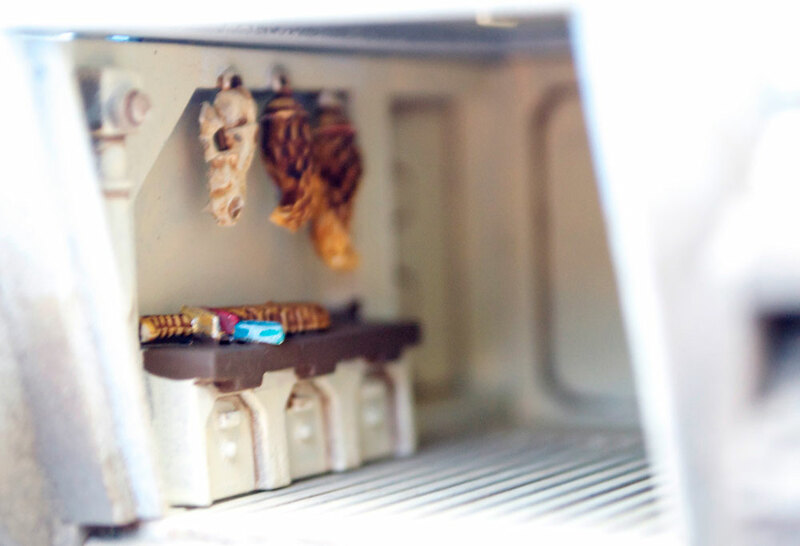 I also did a more faded weathering on the top hatches, figuring even with them not hitting the ground, being rubbed by marines that do would also work some grit into them. 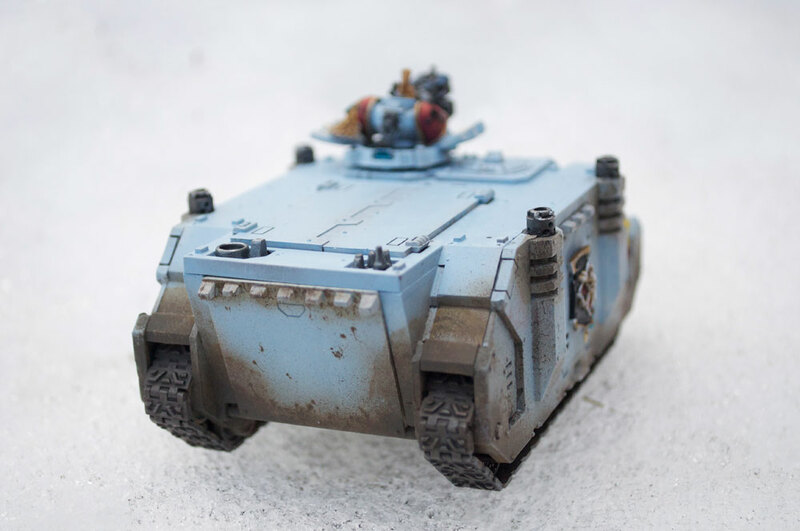 The interior is relatively sparse, though less so than a vanilla-marine Rhino, because being blood claws I figure they've not earned the volume or variety of honours a more veteran squad would have. 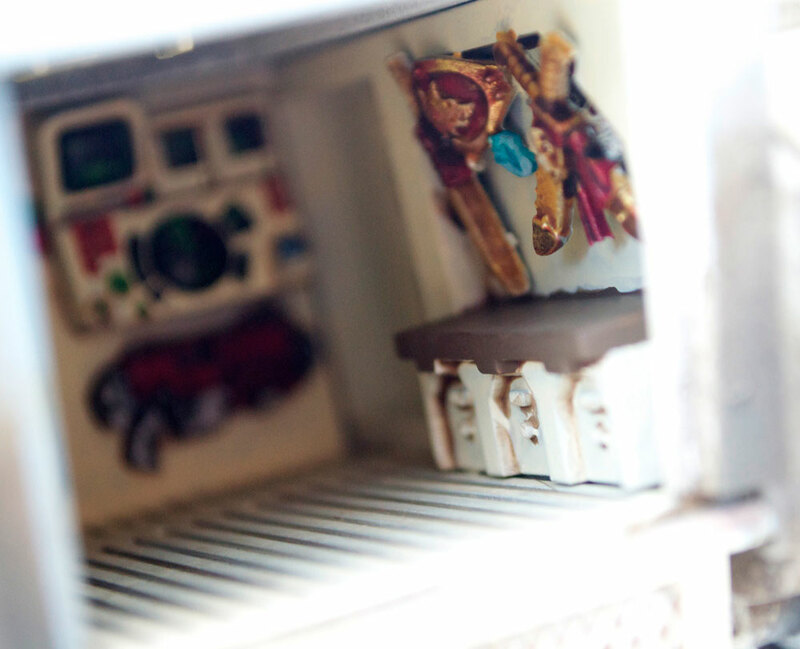 Were I to do a Grey Hunters or Long Fangs rhino, I'd intentionally make the interior look highly customized. Sadly, pictures of the comms array did not work out, but it too received some TLC. I am working on a variety of projects at the moment, and will hopefully get around to photographing them in the next few days. Tyranids, US Paras, Malifaux troops, and a special version Tyranid Prime are all sat on my desk begging for more paint and work.